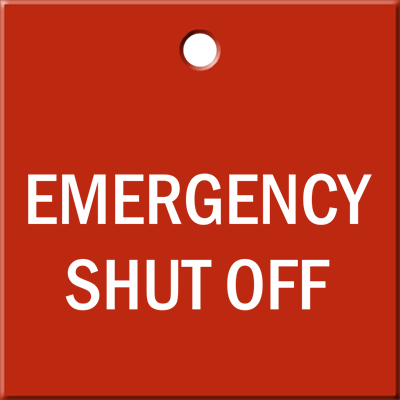 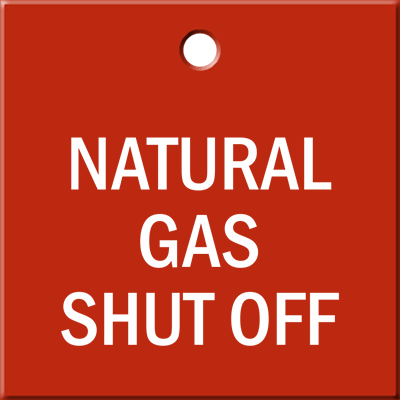 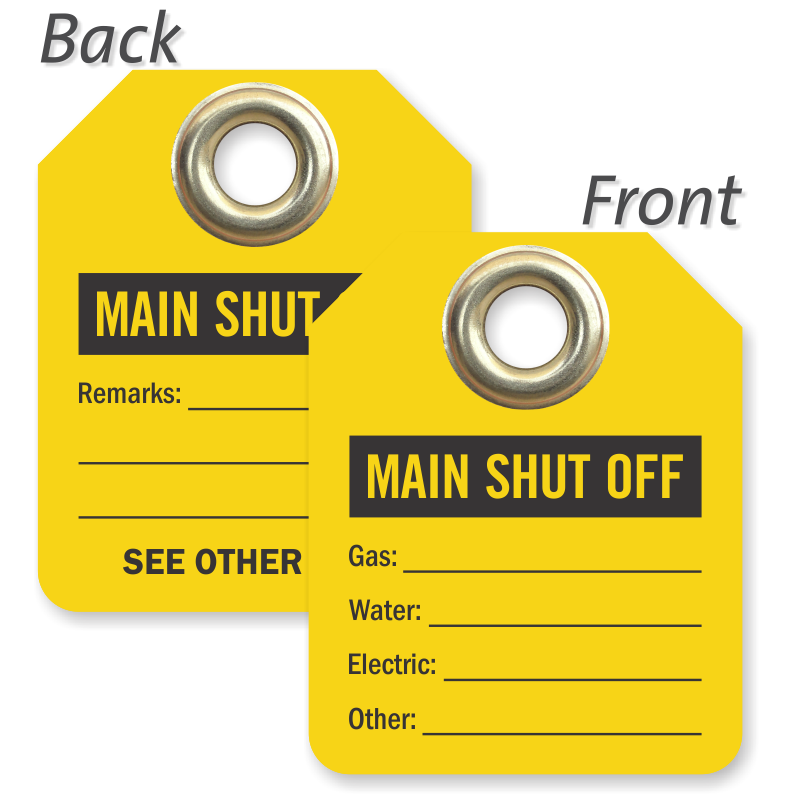 Find shut-offs and identify valve status quickly. 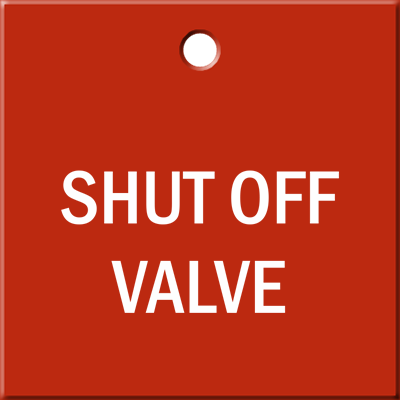 Make sure valves are always maintained in the same position. 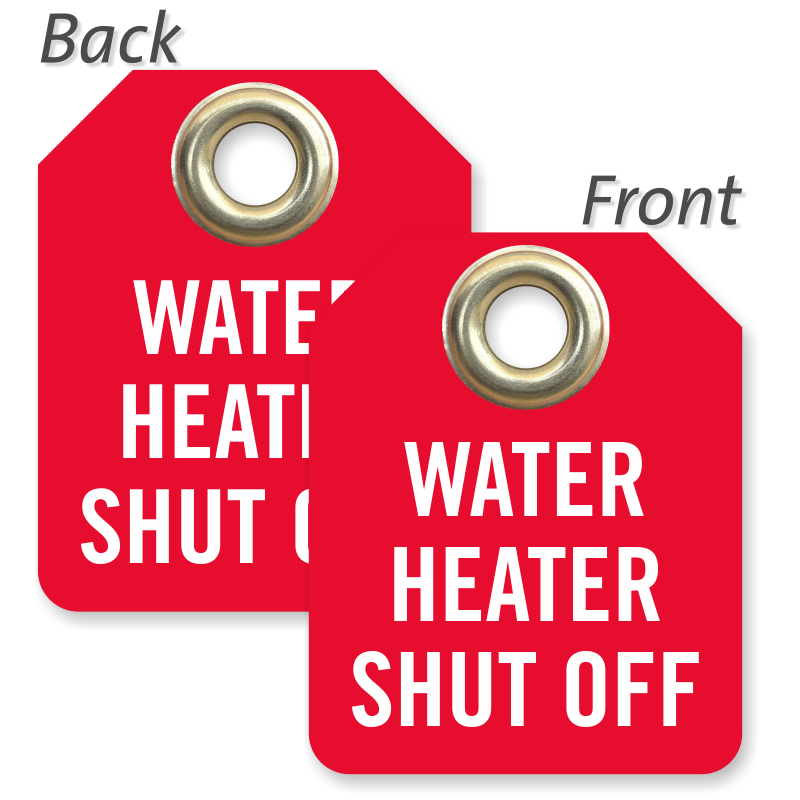 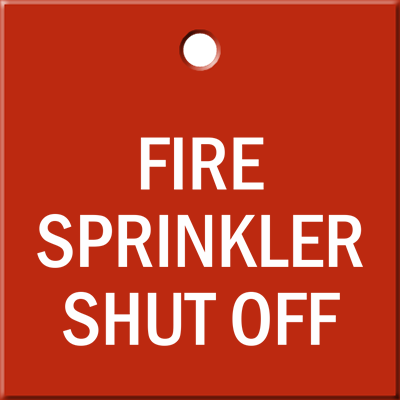 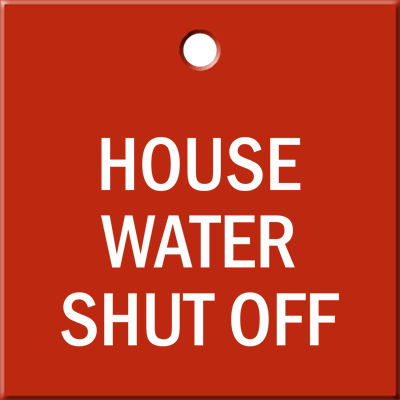 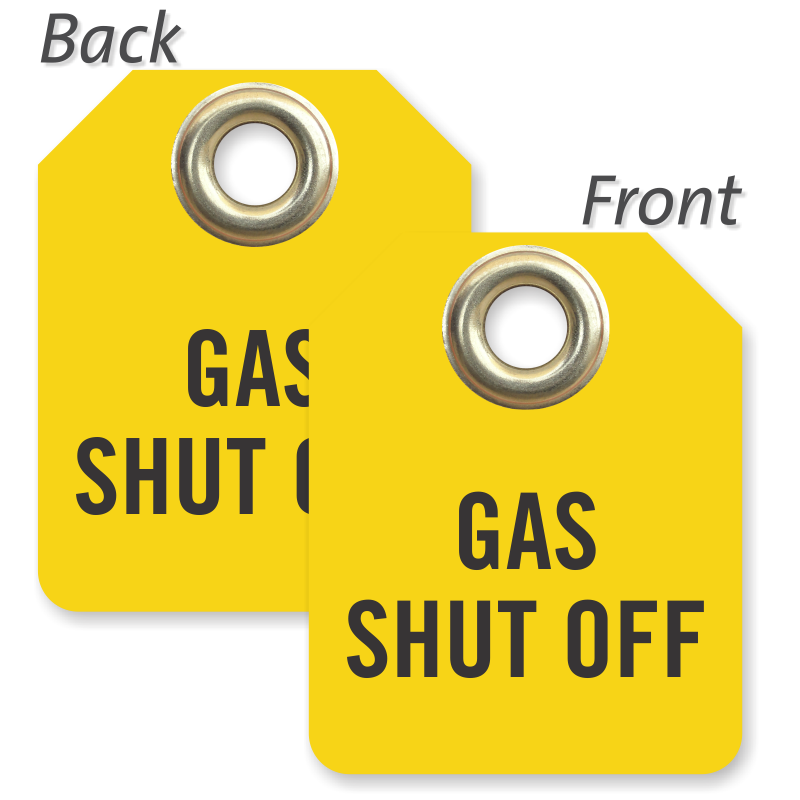 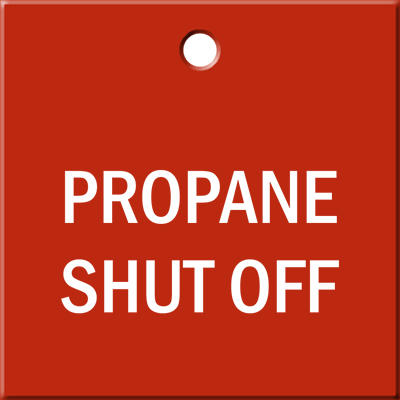 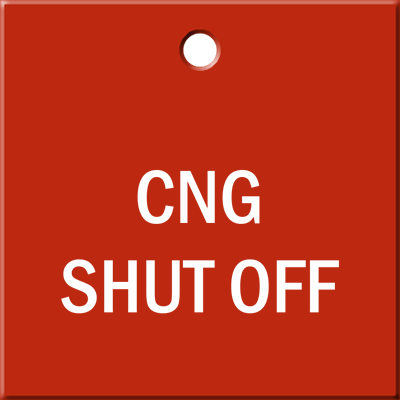 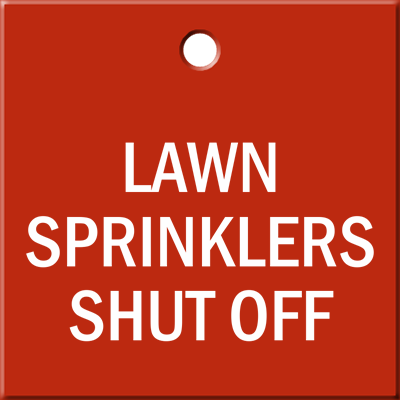 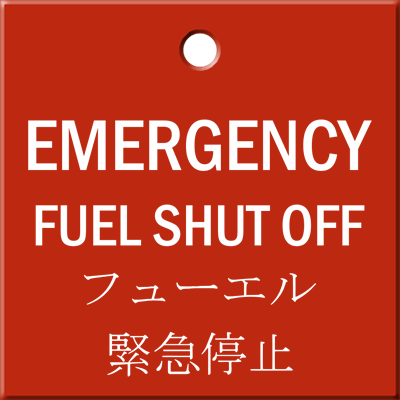 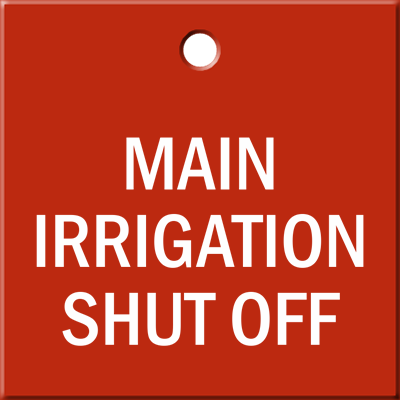 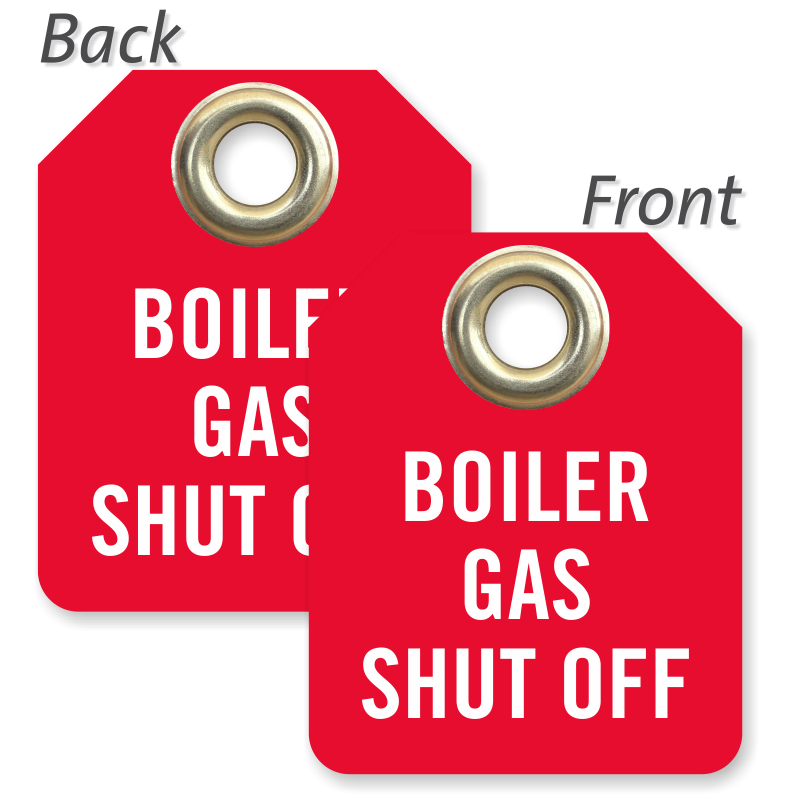 For safety, use these tags to ensure that incorrect valves are never turned on or off. 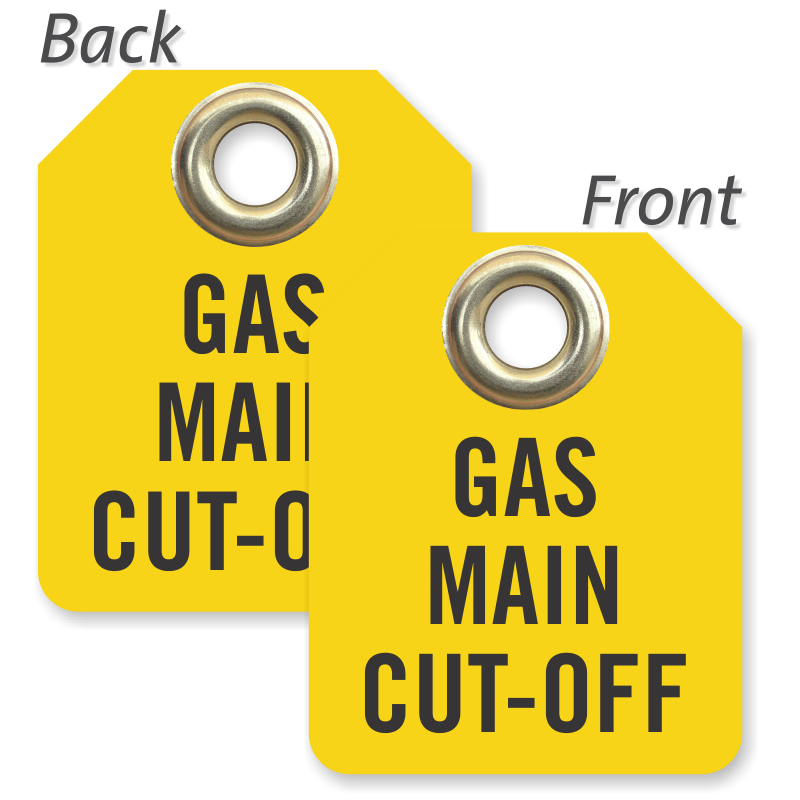 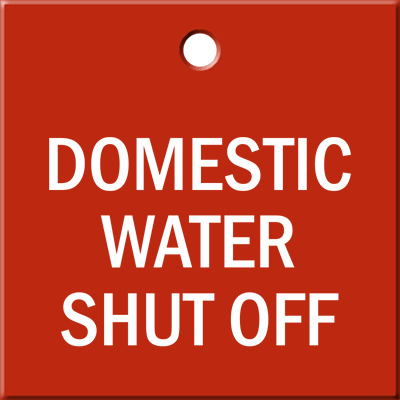 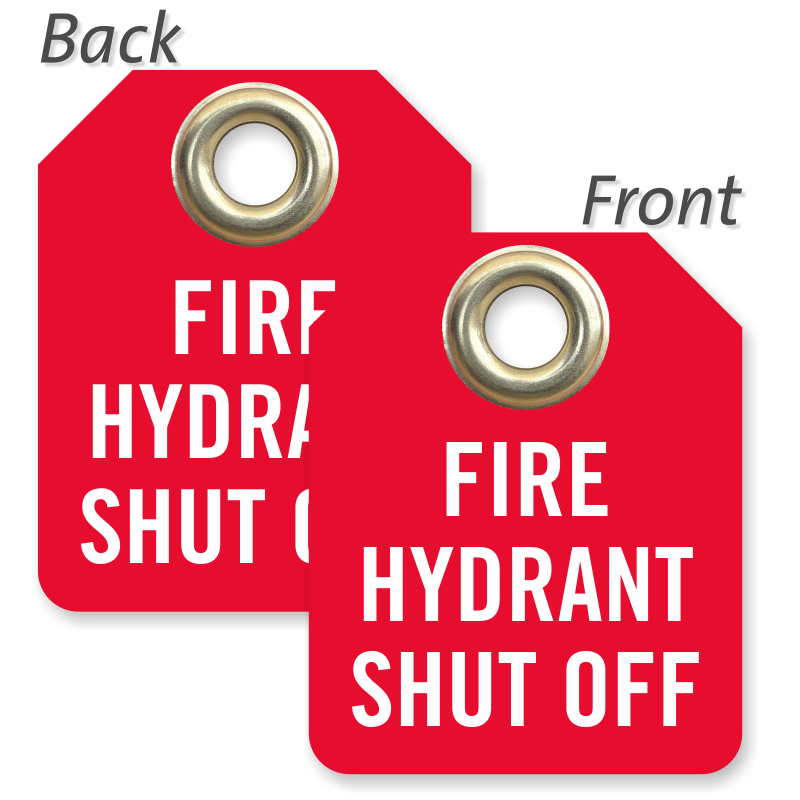 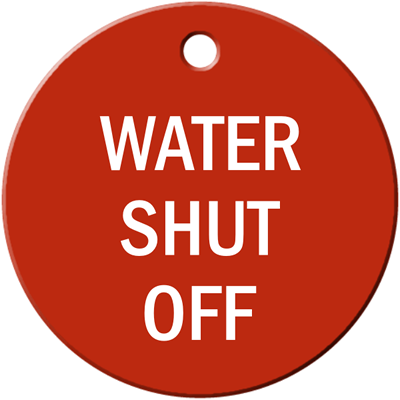 Preventing an accident can be as easy as placing one of these tags on a valve. Since our tags are durable, you'll only have to put them on once for years to come. 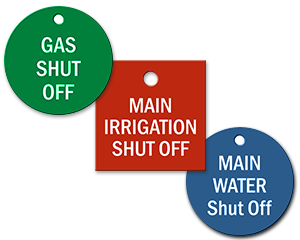 • Color-coded to correspond with industry standards. 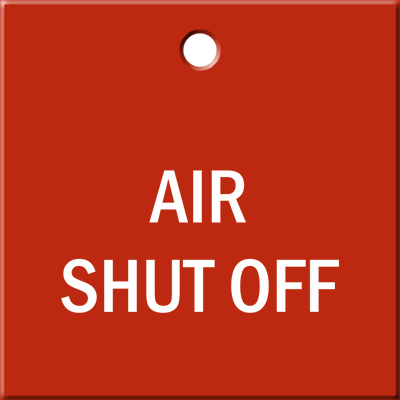 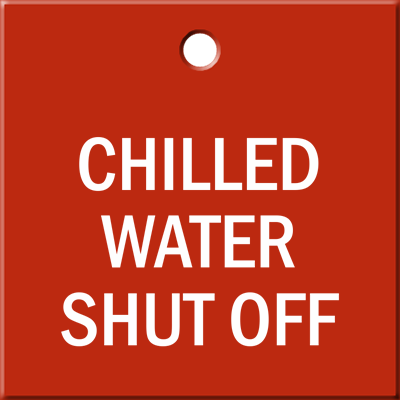 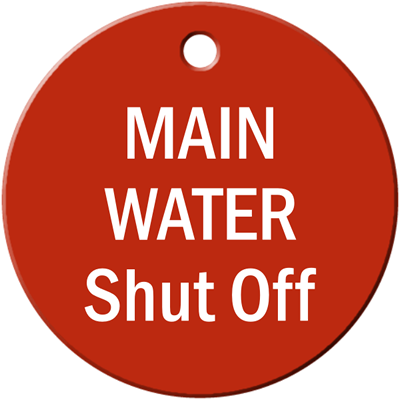 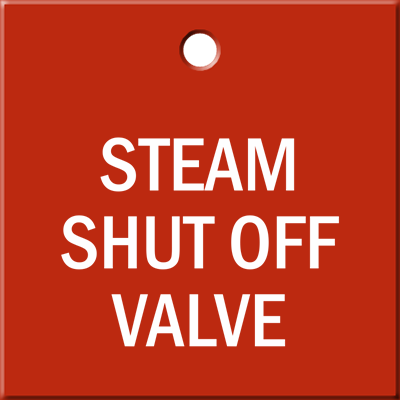 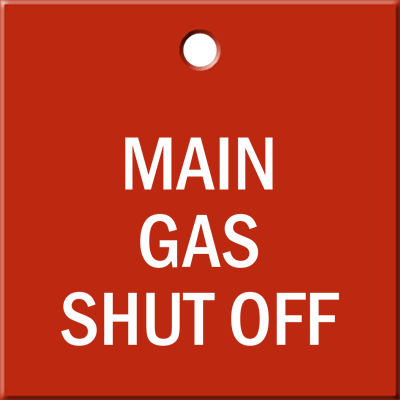 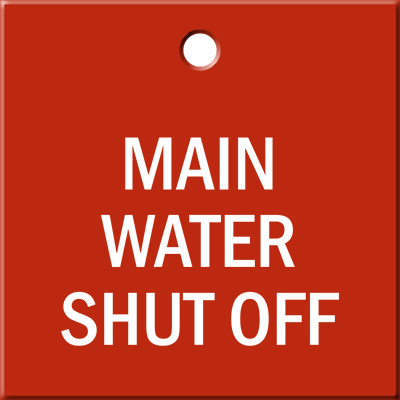 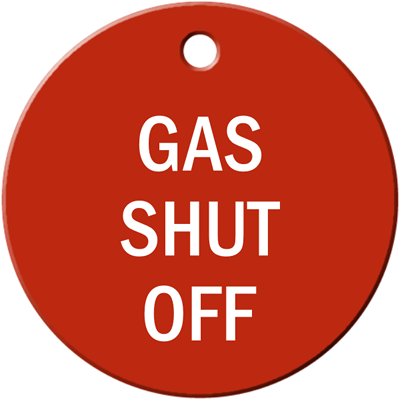 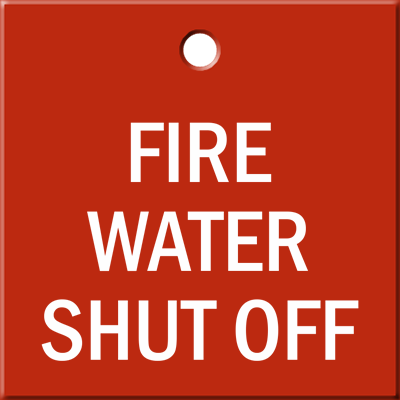 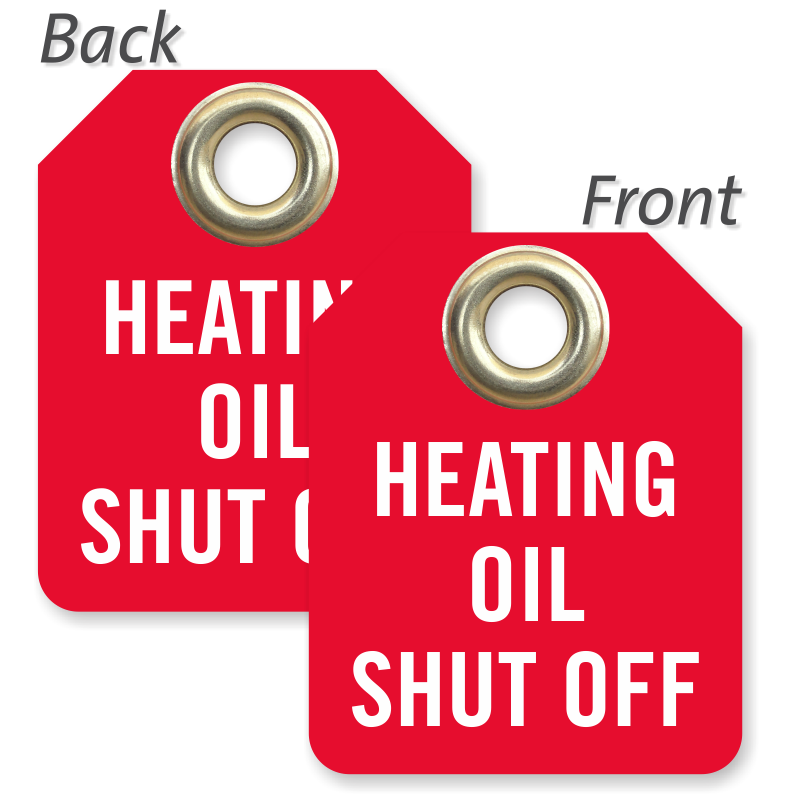 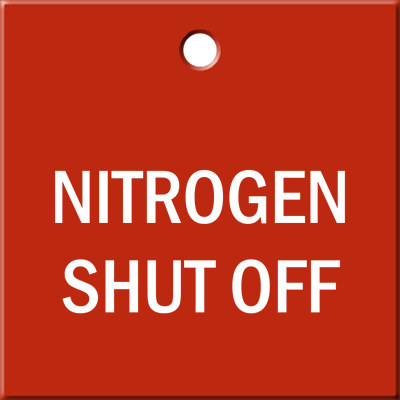 • Valve tags help you find shut-offs and identify valve status quickly. 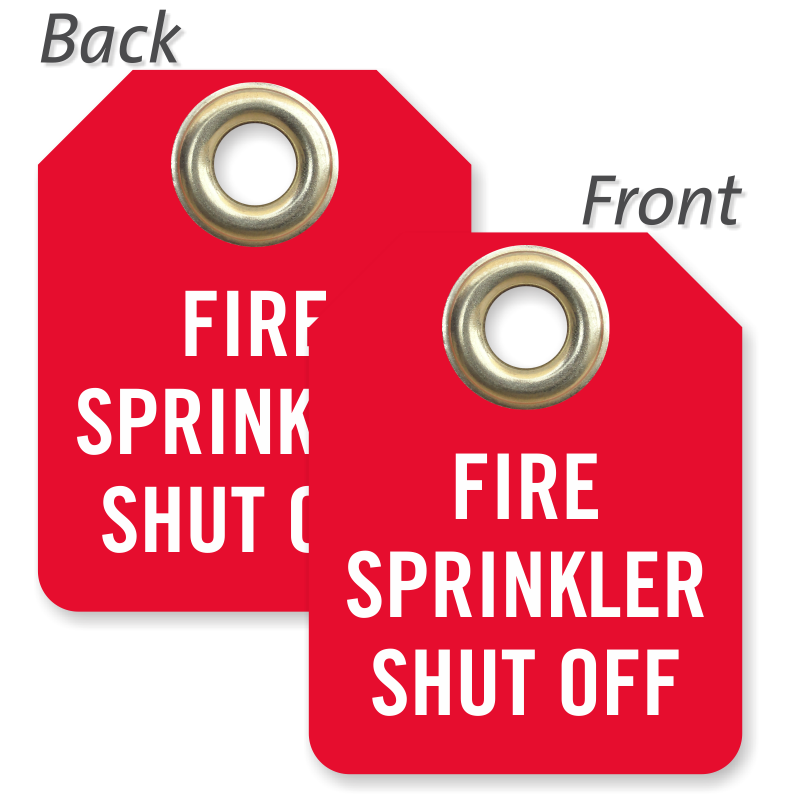 • Tags come in packs of 5 tags with vinyl ties for easy installation. 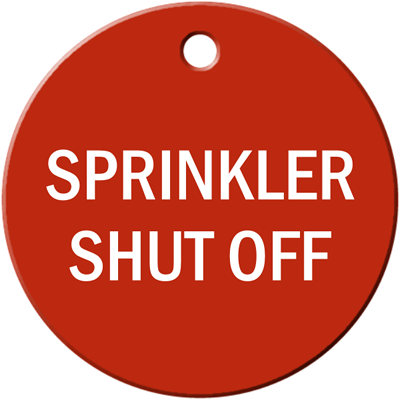 Available in either engraved plastic or durable anodized aluminum. 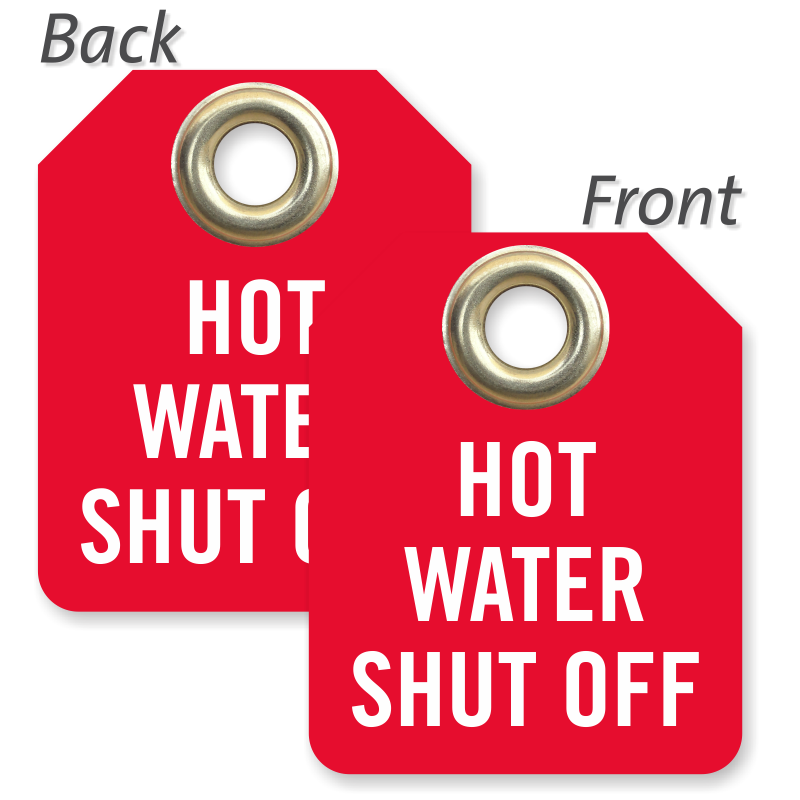 Each design can be ordered in a range of colors.